An amazing week full of inspirational workshops and amazing people on them from Italy,Spain and of course here in U.K too. 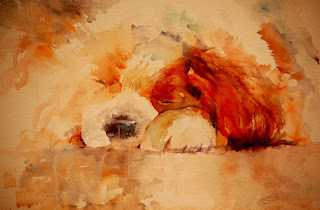 I started the week with "Watercolours With Life". My increasingly popular workshop that covers a variety of techniques and subjects as an introduction to working minus the use of a preliminary sketch. Next came the "Autumn Gold" workshop where we looked at subjects that could be painted in a number of glorious golds using texture effects to capture them. Finally the theme " Africa " was the last session and many elephants emerged during the day as expected. Time as always has flown and the workshops seemed to have disappeared faster than they arrived. A sign of a successful week! 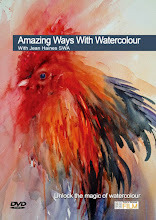 I haven't been able to update my blog since I have been back in my studio due to the large number of emails thanking me for the inspirational days and requests for my 2011 watercolour workshop programme. Many of these messages have seriously touched my heart in ways I cannot describe. 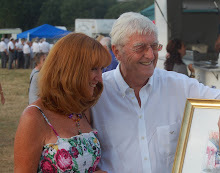 They have also motivated me to ensure next year we also have a fantastic time creating paintings in watercolour that are unique and full of vibrant colour. To hear that every session has been thoroughly enjoyed, that everyone leaving feels like painting non stop and believes attaining great results is now achievable is such an incredible high for any demonstrating artist. Thank you to everyone who came and made this week so memorable. I will be sharing special moments when I have time. That egg, the grapes, not forgetting a certain nose, a giraffe and so many wonderful studies too. And we must not miss out the beautiful Parsley which must be shared and soon. I had no idea Parsley would even be making an entrance this week as a subject. Who would have thought! In the messages I have recieved I have been complimented on my teaching style, my way of making sure everyone relaxes in the room and comments on how enjoyable each day has been. The silence when I demonstrate still makes me smile as we often could hear a pin drop during these times of the day and that too was so wonderful. Subjects come to life as if by magic via a few brushstrokes and fresh colour interacting has a way of making us all feel terrific. My 2011 Watercolour Programme is available and if you contact me I will ensure you recieve details. 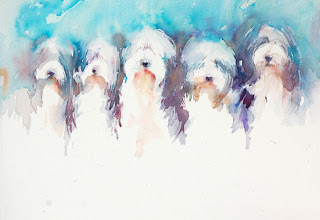 There is an exclusive special workshop next year on " How to Paint Dogs in a Loose Style" in February where those attending will be requested to bring photographs of their dogs to the session to be captured in a unique way, full of life , emotion and exciting colour combinations. As always please book early as there are limited places in each workshop. 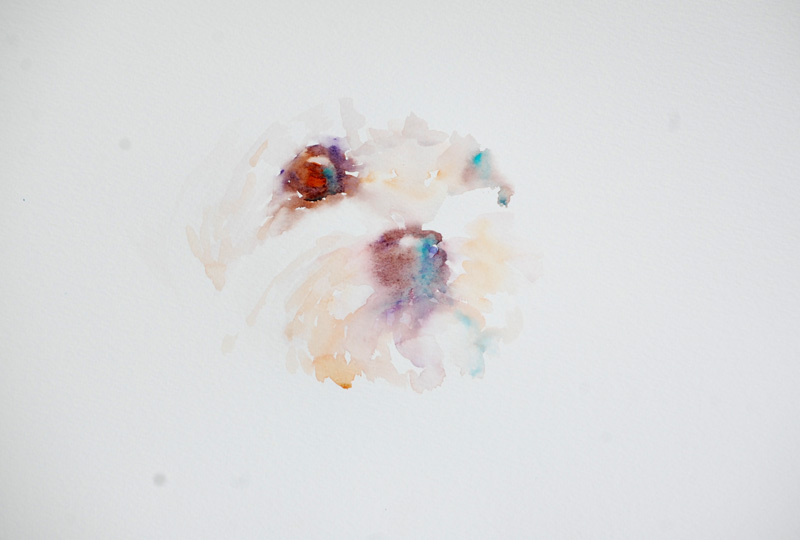 Watercolour in progress capturing the essence of this delightful breed. 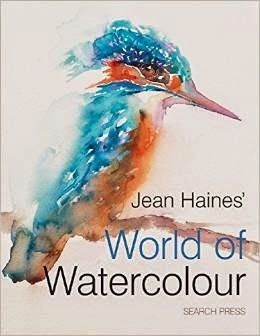 Since mentioning on my blog that the programme for Watercolour Workshops in 2011 is now ready with dates I have been inundated with requests asking for information. There is a stunning new location and for the very first time two day seminars which will be announced very soon. 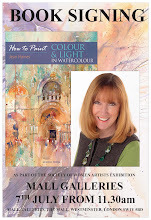 These seminars will lead the artist from falling in love with a subject through to the finished painting but in a way to achieve unique and exciting results. If you are travelling from abroad these could be ideal for you. 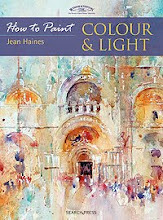 Set in beautiful countryside along with a "Meet The Artist" welcome evening, this new event could become an annual break for all who wish to escape,relax and lose themselves in colour and light. I also have a few "theme" events that will be fully booked as soon as they are announced including " How to Paint Dogs in a Loose Style". My programme secretary is now taking booking so please contact me as soon as possible if you would like a place. My aim for 2011 is to ensure everyone around me is as addicted to working in watercolour as I am and thrilled with their results. This week I will be taking the last of my 2010 workshops in Hampshire , UK and can't wait for tomorrow to arrive. To everyone attending these sessions , see you soon and I hope you are looking forward to them as much as I am! 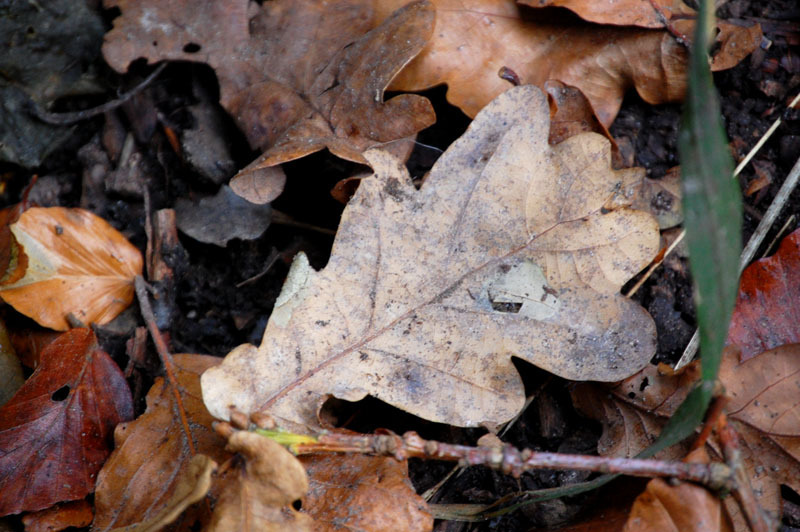 Considering I continually ask everyone to look around them and take in everything they see I find myself now suggesting everyone doesn't forget to look down because so much beauty is on the ground at this time of year. 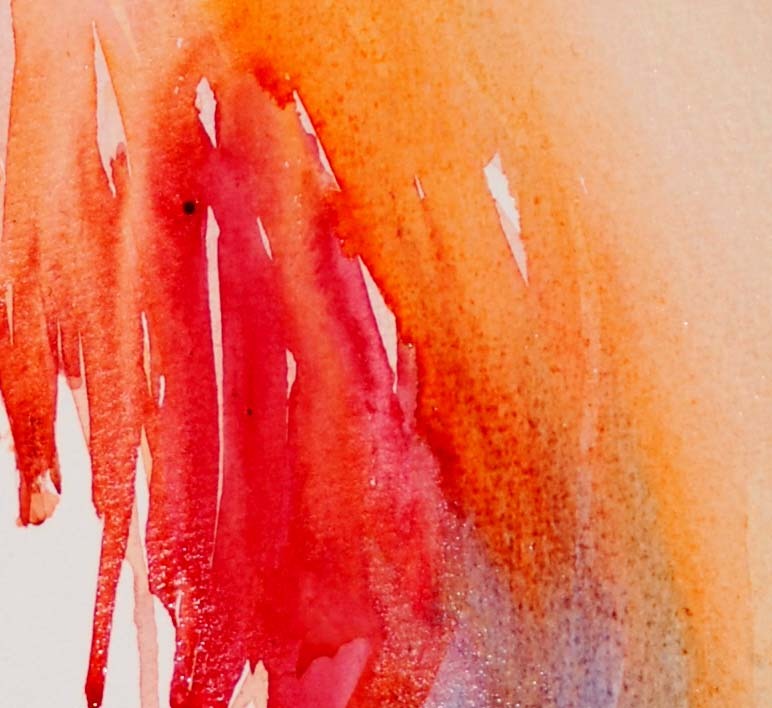 Gorgeous colours create abstract shapes at our feet which are perfect for new inspiration to pick up the brush. I am finding thesSeasons are flying by literally and I am having to move quickly to seriously enjoy each one, taking in the exciting changes taking place before my eyes on daily basis. There is so much to be grateful for. Nature truly is a great teacher in art. Last week saw me racing all over the place for meetings regarding exhibitions, workshops and incredible new projects along with the opening of my exhibition at the Market Street Gallery. I now have a new paintings at the Wey Gallery in Godalming and two collections are ready for upcoming shows in Winchester and Wales. Next week sees the last of my 2010 workshops which have been fully booked for some time now. These I am so looking forward to because they cover a variety of topics,one being my favourite " Africa" session which is always full of amazing animals in vibrant colour combinations. Yesterday I was the guest artist demonstrating for Odiham Art Group and a fun day passed by far too quickly. Thank you to everyone there for the wonderfully warm reception and great atmosphere. I loved the results and still can see the wonderful swan, white flowers, anenome, lamb and many more great paintings that magically appeared during the afternoon. I hope more brilliant paintings follow next week! Watercolour workshop dates for 2011 are now available and seem to be increasingly popular. Please contact me by email as soon as possible if you would like a place. Each group is deliberately small in number to ensure everyone has a fantastic time, can see demonstrations easily and gain personal guidance when needed throughout the day. The aim is for everyone to not only have an incredible day but leave each workshop feeling inspired and 100% motivated to paint non stop when they return home. So far my addiction to watercolour appears to be very contagious and I am thrilled! "How to Paint Colour and Light in Watercolour"
Tonight is the preview of my exhibition at the Market Street Gallery in Alton, Hampshire. The event commences at 5.30 pm and I will be signing books during the evening. The collection consists of paintings from my first book which I will be sad to part with. There are some new pieces also which make the subjects vary bringing a few surprises to the show. It is amazing that with every single preview you have the sensation that you will be the only one there at the opening! It really is fabulous to hear from other artists that this is totally normal as we all go through the same emotions just before a show! Building up a Painting in Stages. 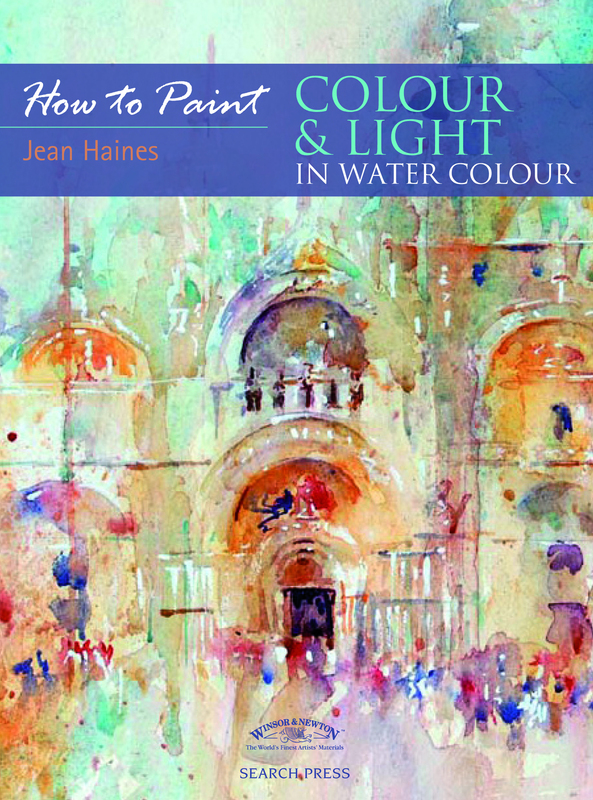 From my book " How to Paint Colour and Light in Watercolour"
Have you ever been stuck on a Suduko puzzle? Often when I am on a train I will pass the time by working through a few suduko puzzles.This is after my pencil is firmly placed in my bag because my favourite way to spend travelling time is sketching. But I also love to give my brain a work out by playing with numbers and logical thinking of their placement in suduko books. It hit me this morning how these puzzles are related to so much in life and art. Just think of when you first started painting or anything else for that matter. Driving,cooking,swimming,playing golf or tennis; just about every skill really needs to be learned. If we start at a young age our skills improve as do our results the more we practise. We wouldn't jump into a car and expect to drive it immediately without taking time to absorb all the information we need to know to be safe on the roads. Jumping into the deep end of a swimming pool with no knowledge of how to swim may be a senseless thing to do but I guess then our survival instincts may just kick in enough to help us make it out alive again. 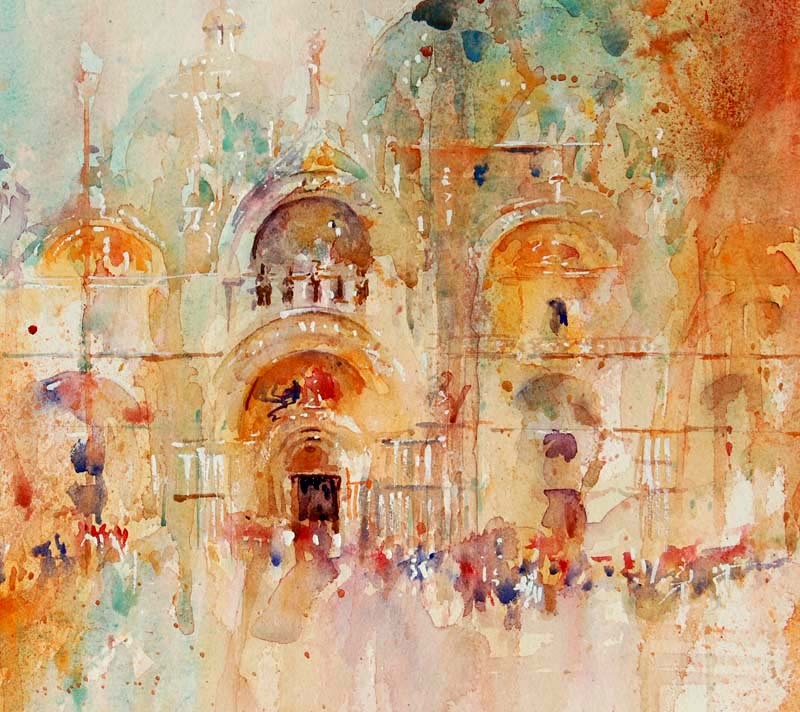 It's incredible then that when some pick up a paintbrush, no matter how inexperienced they are their aim is to paint something recognisable immediately. Even to the point of framing! But does every painting have to be a success? The journey in simply playing with colour can be both relaxing, rewarding and a learning curve that leads us to better results as we grow as an artist. Every single step we take is a step in the right direction because we learn from the mistakes far more than our successes. Suduko puzzles have levels and the more you do the easier they seem to become. There is simple suduko which are easy to complete, then the slightly harder puzzles and then those that are aimed to really tax the brain. There are always those who will complete the more complex puzzles with ease and there are others who slowly will work out where each number should be to the point of giving up when it gets far too tough and non enjoyable. And it these two words that are soul destroying. They herald a sense of failure. As adults this is harder to face than as a child who will merrily skip to the next distraction. Worse still is the habit of dwelling on the failed attempts rather than seeing the beauty in small positives which can lead to a far brighter tomorrow. If we give up we will never succeed. When thinking about Suduko we readily understand that every single printed puzzle has answers. All are do-able even though we may not just be the ones to do them! None are impossible to complete but we may feel they are at times. But it is our decision of whether to struggle to overcome the problem or give up. 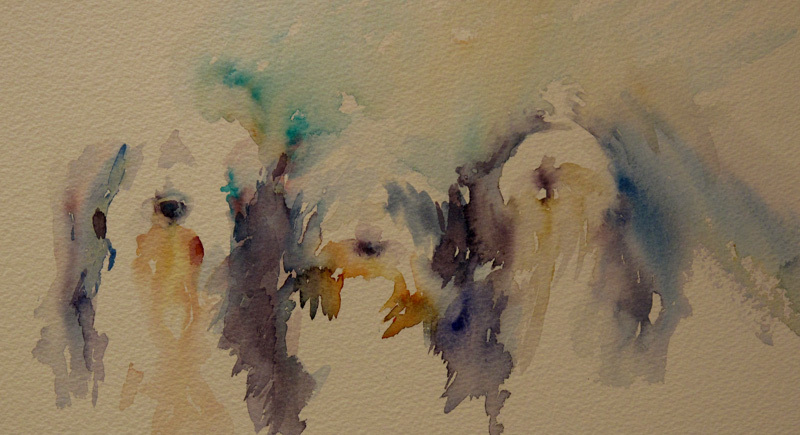 Working in watercolour is just like that. There is an answer to everything as we simply need to focus on finding the solution. 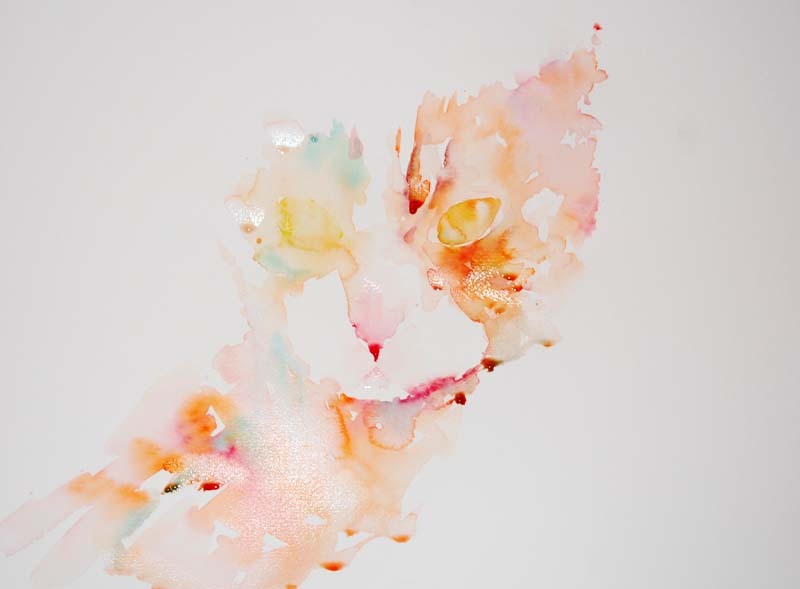 One that suits us whether it is style, needing more practice, finding the time to actually paint or possibly finding a way of recieving help that leads us to where we wish to be. The main point is we CAN achieve absolutely anything if we look for the right way to find our own solution. Unlike Suduko life throws us headaches at times that are completely out of our control but we still all have the power to find an answer, no matter how hard it is, to deal with each one. So life and watercolour is just like a suduko puzzle which we can enjoy or not. But at least we get to make that decision. I love life, I love puzzles and fortunately I adore experimenting in my art. I am consistently setting myself new "puzzles" to enjoy which means new goals to achieve and my workshops actually reflect that. I am working on a very large painting which really is similar to a puzzle in that it is coming together in stages, some simple,some complex and the combination is creating a fabulous and interesting result. Life IS like a suduko puzzle and my art seems to be as well!. Thank you so much to everyone who has already contacted me for my workshops next year. Yes,they will be limited in number due to the increase in my exhibition and gallery work but my aim is to not only share my passion for working in this incredible medium but also share my journey in ways that hopefully help others to solve their own puzzles and quests! It is an interesting week with meetings,calls, orders,deliveries and discussions for future exhibitions,demonstrations and workshops.With so many wonderfully exciting projects and new opportunities I am beginning to ask the question. How do other professional artists manage to find time to paint when there is so much to do that keeps you out of the studio? 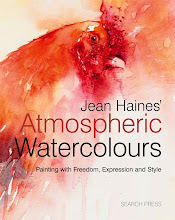 In the last few weeks I have visited galleries, travelled to new destinations to give talks and demonstrations related to watercolour and my book. I have found time to be involved in meetings regarding incredible art events for 2011 and then I have been working on my own schedule for next year which is filling up so quickly to the point I may need to start looking ahead to 2012. There are only so many hours in the day and I truly want to paint as often as I can. And so this morning finds me in my studio really excited as today is the day I can work freely on new pieces and look through those already started to the point where I had stopped because they had reached the exciting stage of being almost complete but not quite. I am like a child in a candy store with so much to choose to work on. One of my cats made a delightful model yet again by posing near my easel. 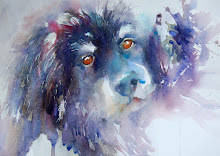 I couldn't resist working on her sweet gentle character in very soft watercolour. "Biscuit" can land anywhere with grace and quiet movements unlike Buster the larger male cat who is heavier and dare I say quite clumsy for a cat! 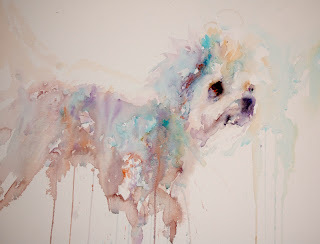 Here is Biscuit developing in my first colourful brushstrokes. 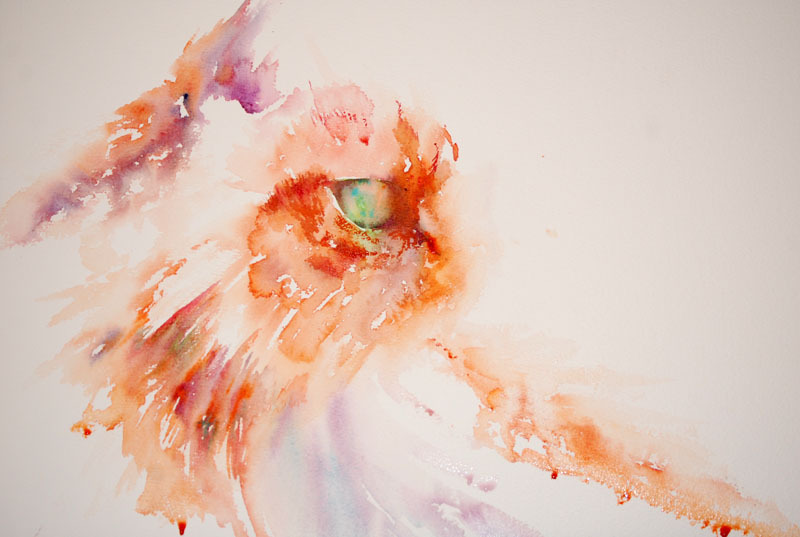 Cat coming to life in soft use of watercolour. I genuinely feel I am literally breathing life into this piece as I can hear my cats contented purring in the background which seems to be bringing this subject even more alive on paper. I am trying to capture the essence of this pretty creature by colour and brushwork alone and she really is beginning to appear in front of my eyes as if by magic. How great life is as an artist. 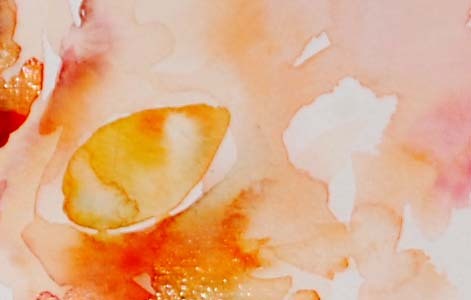 My Autumn Workshops commence this month with "watercolours With Life" , "Autumn Glory" and the return of my popular session with the theme "Africa". Can everyone attending ensure they have beautiful gold colours to work with as these are going to be incredible and excitingly vibrant sessions! 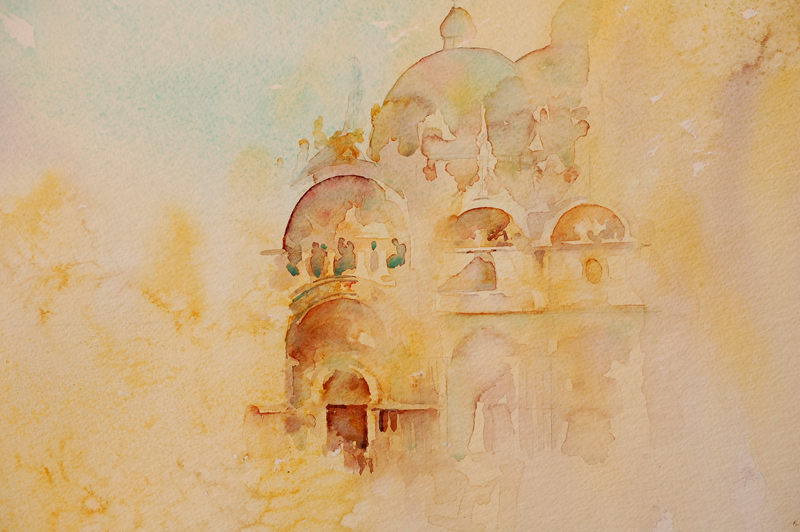 From my book" How to Paint Colour and Light in Watercolour"
The Market Street Gallery in Alton. I have been inundated with email messages requesting information for my 2011 workshops and demonstrations here in U.K and abroad. I am thrilled but as my schedule is really busy at the moment with four exhibitions before Christmas and working on new paintings for galleries I am showing in I sadly haven't had time to reply. I do have very exciting news regarding workshop themes for next year and a heavenly location for artists travelling to see me from abroad. I also am so grateful for everyone who has very kindly taken time to contact me to let me know they like my book. No one will ever fully understand how much each positive comment means to me. To write has always been a dream of mine, to know my passion for art is being enjoyed in my first book, well to be honest words fail me to describe how very happy I am. But I don't take a single word or email message for granted. I sit feeling very honoured and touched that a stranger should take time to contact me and I wish my smile could be witnessed when I read each line. I feel small, humble and full of gratitude. I owe so many people so much and I cannot say thank you enough from the bottom of my heart for making this artist one who is over the moon. However my feet are very firmly still on the ground. There are many artists in this world, many who are so gifted and talented. Far more than I. Many who I look up to and admire. I am on a journey and loving each step of the way. To have those beside me who enjoy my style keeps me moving forwards and I am really inspired by all that is said to me. Inspired,thrilled and motivated to a whole new level. I hope to catch up with personal messages soon and also get the dates and location for my art workshops next year on my blog when time permits. My gallery work right now is a priority as I have deadlines to meet before the end of this month. For now my " lucky hare" from my first book is firmly by my side in my studio but may be racing to the Market Street Gallery next week as part of the show there. I am finding it so hard to part with a piece that has been so loved by so many and seems to have brought me no end of good luck! Another big decision I need to make and quickly, to keep it or let it go! I am working on a new selection of cards which will be launched at the Market Street Gallery during my Colour and Light Exhibition which opens next week. I couldn't resist choosing " Five in a Row", a favourite painting of Bearded Collies with my two Taffy and Bailey amongst the group. 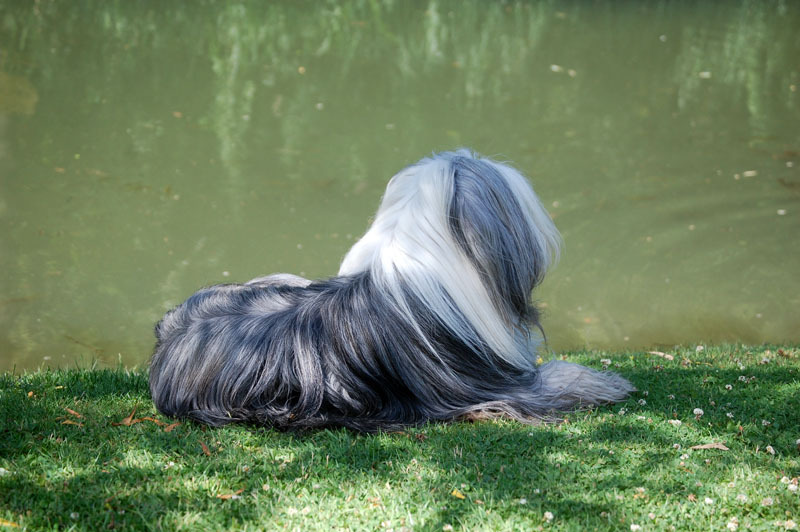 These lovable shaggy haired dogs are so adorable to know as a breed. And having recently lost Taffy it is my way of keeping him with me in my next exhibition. "Five in a Row "
My cat paintings have been so popular that at the time of typing this blog entry only one is available and this is one that has been in my home and enjoyed for some time.So I am parting with " Wheres The Birdie" in as part of the show and this will be available as a card from the gallery next week. The new card of the cover of my book will be available alongside the painting which will be on show for the first time during the Market Street Gallery exhibition along with other paintings from my book which will also be on show for the first time. 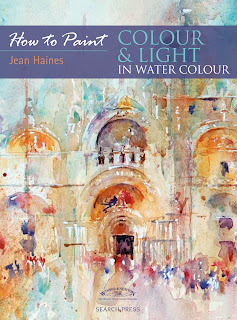 Cover of my first book " How to Paint Colour and Light in Watercolour"
Knowing which pieces will be in the exhibition I am looking forward to seeing them framed and as a body of work. My return to the Market Street Gallery this Autumn is really a pleasure. I can't wait until next week. If you are near Hampshire please visit the gallery during 21st October and 4th November. I will be there for the Preview for book signing and details of the event can be found on the Market Street Gallery, Alton web site. Yesterday a collection of watercolours left my studio to be framed for the Market Street Gallery exhibition which opens on 21st October. In this show the cover of my book will be on view for the first time and I felt that connection as artists do when these special pieces leave you for a length of time. It is a favourite and always will mean a lot to me. But so will the favourites which I have parted with for this event like the cat that has been here with me for some time because I just couldn't part with its eye of all things! The green always seemed to connect with me and a I had a feeling of happiness simply by looking at it. It is so strange how an image can change our moods or lift our spirits. I seem to have pieces that do just that and I have been told this is why they become collectible as much as their composition and subject matter. The feeling behind each piece and emotions it triggers. This is my second show at the Market Street Gallery this year as I held a successful exhibition there in Spring of this year. Now it is time to complete the body of work for my exhibition in London which opens in November, In fact I have two exhibitions next month but one is a group show which I am delighted to have been invited to particpate in. I will share more details on these later because this morning I really do need to get those brushes moving magically. Sometimes subjects literally seem to jump off the paper and come towards me while I work as in the above cockerel which needs a name. Perhaps one will come to me today when I complete it! Chasing the Blues Away with Vibrant Shades. It is impossible to feel anything other than cheerful when working with vibrantly glowing golds and reds in watercolour. The sky is grey and dismal outside but here in my studio I look forward to a week ahead full of exciting paintings that are full of life and excitement simply by the choice of colours I select for each one. This morning I am working on my upcoming exhibitions.One is local and the other is in London. Each contains a collection of new work which include horseracing,cockerels and new additions to my growing collection of favourites subjects. There are paintings I will not wish to part with and paintings I am eager to show for the very first time as their preview will be only in the gallery not online or via my web site. On this note I will explain that I never sell from my studio. It is a personal decision. Many artists aim to exhibit in established and professional galleries and yet once there continue to sell work from home privately taking away the clients that would otherwise keep a gallery successful. I do fully understand that we all work in different ways. For me, I prefer to liaise with a gallery knowing they represent me and from the initial contact aim to build a solid relationship full of trust and respect. I have some beautiful pieces calling my brushes and can't wait to continue working on them. Whatever your week ahead looks like at the moment I truly hope it is colourful! It had to happen. 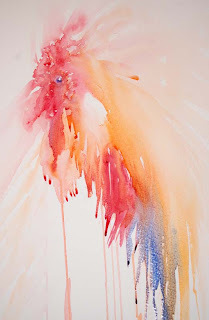 Because my week was absolutely full of important meetings all connected with my art I haven't hada lot of time to paint. Instead I have been driving all over UK meeting the most amazing of people who have given me such fantastic invitations and feedback about my style and techniques.But the frustration of not actually being able to physically create hit me hard this morning. To be honest it started hitting me yesterday afternoon during my demonstration at Basingstoke Art Club. The colour simply flowed as if by magic and I desperately wanted to race to my studio today. This morning I have looked at my week ahead and the exhibitions I have coming up. 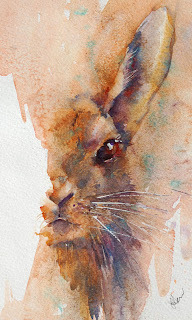 I have also been invited to exhibit in a show with an animal theme in November. So chose to start on a new collection to include stunning and exciting pieces as this will be my first time to show in this particular gallery. I am also recieving many requests for my cat paintings as I have only one available at the moment which will be in my next exhibition in Alton. I have been enjoying it in my home and almost kept it because of the eye which I love. I am parting with this piece but I seriously hope it goes to a home of someone who loves it as much as I do. I seriously only paint what I want to and when I want to paint it. This means if you have been looking for a particular subject of mine it can be really frustrating because there is often a wait involved. I won't apologise because when I do paint it there will always be emotion in my brushstrokes and sheer love and passion for what I am working on. I don't "churn out" paintings nor do want to gain the reputation of being one who does. Each piece is special to me in how it is created. 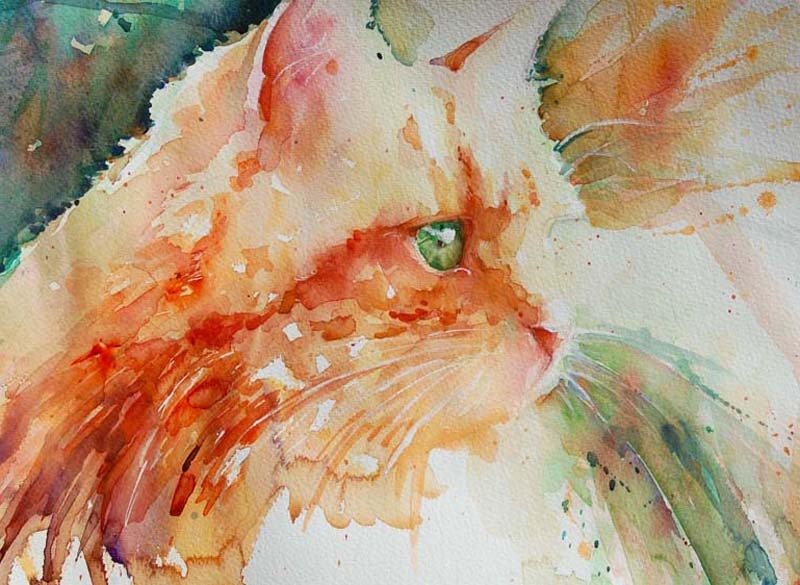 Which is why this morning when my gorgeous fluffy ginger cat came waltzing in from a night on the town looking rather pleased with himself I simply couldn't resist painting him. He has taken over the best seat in the living room as his. From here he can look out at the garden we are so lovingly working on and he can watch the ducks he will never catch due to their ability to race to the water before he reaches them. He can admire the small birds he will never catch because of the small bells on his new collar. And so he can dream of all he could do given half the chance. I adore his face. You can imagine what he is thinking. His eyes are alert and just waiting for that right moment to pounce. Having just eaten a huge bowl of breakfast he washed his paws with pride and I know it won't be long before he falls into a deep sleep and he probably won't even move for the rest of the day. He is alive in this painting as in no other. My emotions are at one with my brush and I know instinctively this is an exhibition piece. As yet I don't own a single one of my cat paintings as they sell too well. But there is magic in my brush this morning. 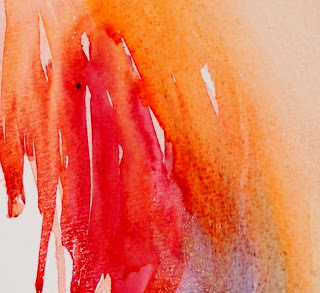 Magic from a week of waiting to paint, a week of knowing exactly how I want to see watercolour flow and a week of demonstrating to others. Its my turn now. My studio time and I am so happy to be at one with my brush creating. 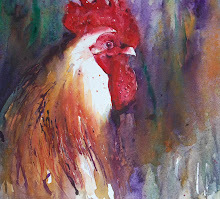 Cockerel from Basingstoke Art Club Demonstration. Thank you very much to Basingstoke Art Club for the wonderfully warm reception as a guest artist to demonstrate yesterday afternoon. Walking into a room full of faces waiting to watch you paint and hear what you have to say could be a daunting prospect for any artist. I adore working with watercolour and meeting people so sharing my passion for my chosen medium seems to come naturally. However the audience of the art group or society really can make a huge difference to how your presentation is accepted. I realised yesterday I have yet to meet an art society or art group who aren't enthusiastic . The hours flew by as I shared several demonstrations on a variety of subjects. 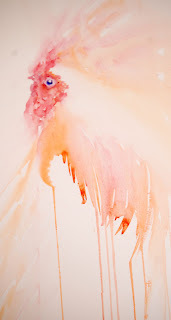 Starting with simple blues moving to the honorary cockerel who now always seems to make an appearance during my events. After the break we moved on to honesty, poppies and finished with a quick rose. Considering I had aimed at demonstrating a dog or cat in Autumn Golds this all came as a surprise to me! But a demonstration isn't about the presenting artist. It is about what best suits the group, what techniques will inspire and what subjects will fascinate. My goal is to have everyone watching me leave the session racing to pick up their brushes. I also feel its important to listen to what everyone wants. There were a few thoughts on what would be beneficial to see so I happily changed direction at times. Colour flowed rather too quickly as always because it was time to leave before I knew it. 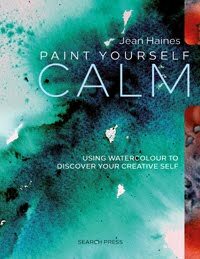 So to everyone who was there yesterday it was wonderful meeting you, thank you so much for buying my book and I hope you are now all painting with new ideas and exciting colours! It has been yet another incredible week and time is literally flying by with one amazing event after the other. Last Sunday I was signing books as a guest speaker at Warwick University. Since then I've been in London for a meeting with the Society of Artists and then raced to the New Forest for another successful meeting there. 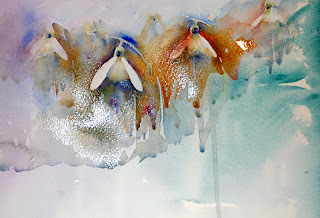 This afternoon I am giving a demonstration for Basingstoke Art Group. I have recieved some wonderful invitations from galleries inviting me to show with them and I am working on my second book and magazine features. With three exhibitions coming up before Christmas I will be painting quietly from here in and enjoying my studio time. Being a professional artist involves far more than painting. It means making time for so many aspects of this career that probably aren't quite so obvious at first. Even so I never fully imagined how hectic my life would become as an artist until now. In all honesty I love every part of my life and each new day or new proposal is as exciting as the very first I recieved years ago. But I am very aware I cannot say yes to everything which means sitting back and making wise decisions so that my workshops are the best imaginable in 2011 and my new work will also be the most exciting I have ever created. To do this I need rest also to recharge my batteries so long walks with my young Bearded Collie give me plenty of thinking and planning time whilst being surrounded by stunning rural views which inspire me. I look at this sleeping puppy study and smile. Pets know instinctlively when to sleep throughout the day. For me there is no such luxury and even if there was I would be dreaming about painting!